My favorite thing about the fall is the gorgeous changing colors. Although it may be a little cheesy, we all love raking the leaves into a pile and jumping right in! Not only do I adore the beautiful outdoor scenery, but the holiday season and decorations make everything a little bit more cheerful. 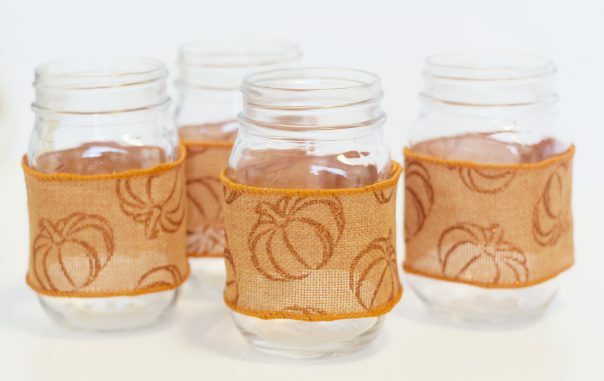 Optional: Sharpie or Foam Letters Start off by measuring the correct amount of ribbon needed to fit around your mason jars. 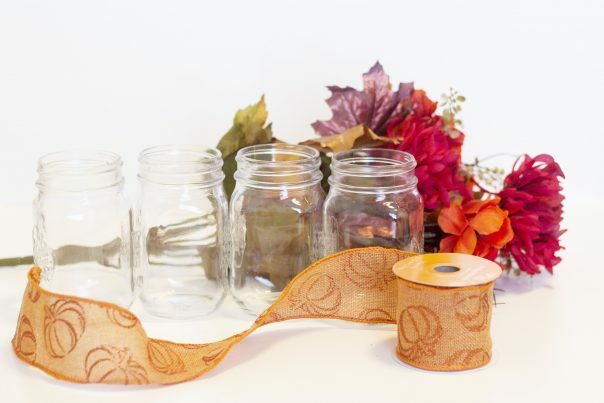 Once you have measured and cut, wrap the ribbon around and glue the ends together. Hot glue, glue sticks, or liquid glue all work very well. 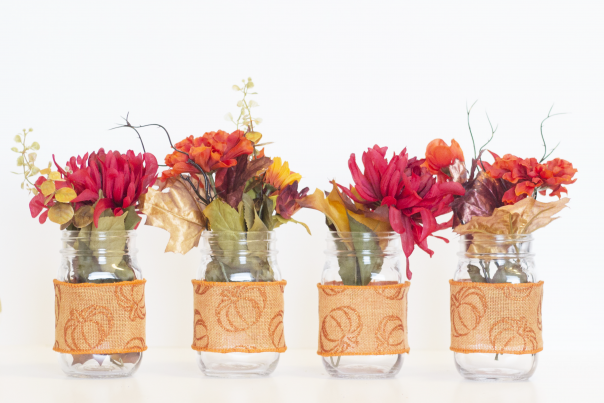 Add your choice of decorations to your mason jars, and arrange however you like! I added some fall colored flowers, and decided to spruce it up by adding some letters to the front. Using a sharpie paint pen, write out your desired word. Using foam or wood letters are a great alternative if you have them around. If you aren’t a huge fake flower fan, easily switch them out for real flowers, straw, or cinnamon sticks to make your house smell delightful. 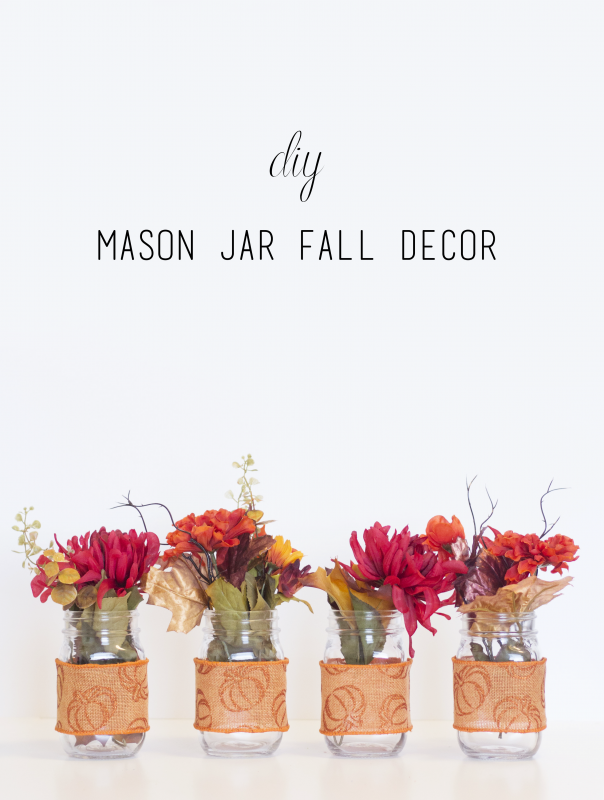 Candles, corn kernels, or cranberries would also look nice in the mason jars. 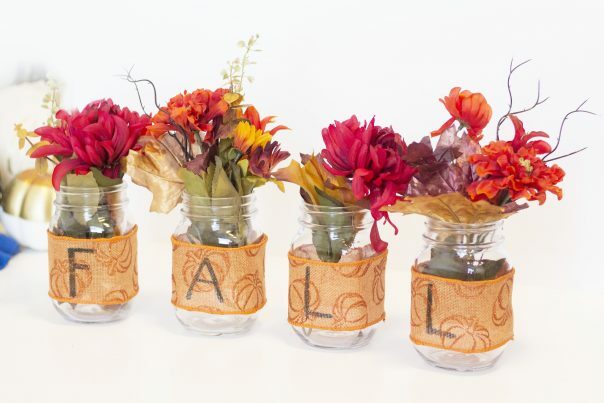 If you have more mason jars, other fun words would be “Thanks” or “Thankful”. I only had the 4 around to fit “Fall”, though it’s easy to take off the ribbon and change to whatever phrase your heart so desires. 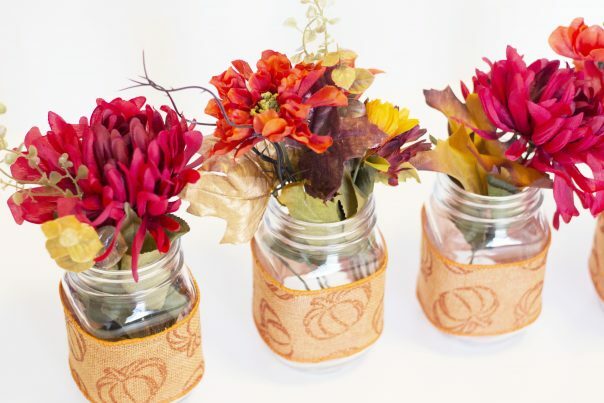 Instead of using ribbon, you could paint the mason jars with chalkboard paint, and easily switch out the phrase or design with a little bit of water. What’s your favorite fall tradition?